After taking a two week break from the blog, I am back and recapping our wonderful holidays. Thanks to some strategic placing of vacation days, stat days and a weekend, I managed to get just over a full week off. That was pure awesome. We had an incredible Christmas. Lilly is just at that perfect age to really get into the season and was very excited for Christmas morning. Santa spoiled her and while he had his name on many things under the tree this year, he was NOT taking credit for the giant Rainbow Dash. That one was all Mom and Dad, because we are awesome. She got tons of ponies, princess costume stuff and books. Daddy also got spoiled. We got him his official ‘dad chair’. Best. Wife. Ever. I got my iPad a few weeks ago, which was my big present, but the hubs did finally get me the whiskey rocks I have been asking for. Not that I can use them any time soon… #pregnantproblems. But a knocked up girl can dream about the future. VaVoo (grandpa) got Lilly a gigantic doll house, FTW. Later in the week, I had the incredible opportunity to spend more time with my best friend, Colleen, than I have in ages. She lives in BC, so we only get to see each other 1-2 times per year and usually just for a day or so. This year we got 3 nights and almost 3 full days. It was amazing. The first night she surprised me with my 30th birthday present early. When she walked into the kitchen carrying a specific shade of little blue box, I lost my freaking mind. She said she wanted to buy me something I really wanted, but would never get for myself. She nailed it. The next day, we spent the day in Toronto visiting the market, sipping coffee and having a delicious dinner. We topped it off with Les Miserables at Princess of Whales Theatre. Now, this was huge for her and I to do together. We have been singing these songs since we became friends at 14 years old. It holds a special place in both our hearts and made the show that much more unbelievable. Colleen came home with me to see Adam and Lilly and spent New Years with us – first time we’ve spent NYE together since college! When we headed back to our home town, we got to spend a bit of time on her family’s farm. It’s a horse farm. Anyone who knows my kid, (or reads this blog) knows that she would freak right out on a horse farm. With the holidays all wrapped up now, it leaves me waiting for next year already. Thanks to the beauty of maternity leave, both Adam and I will have the full holidays off for the first time ever. Very much looking forward to that. 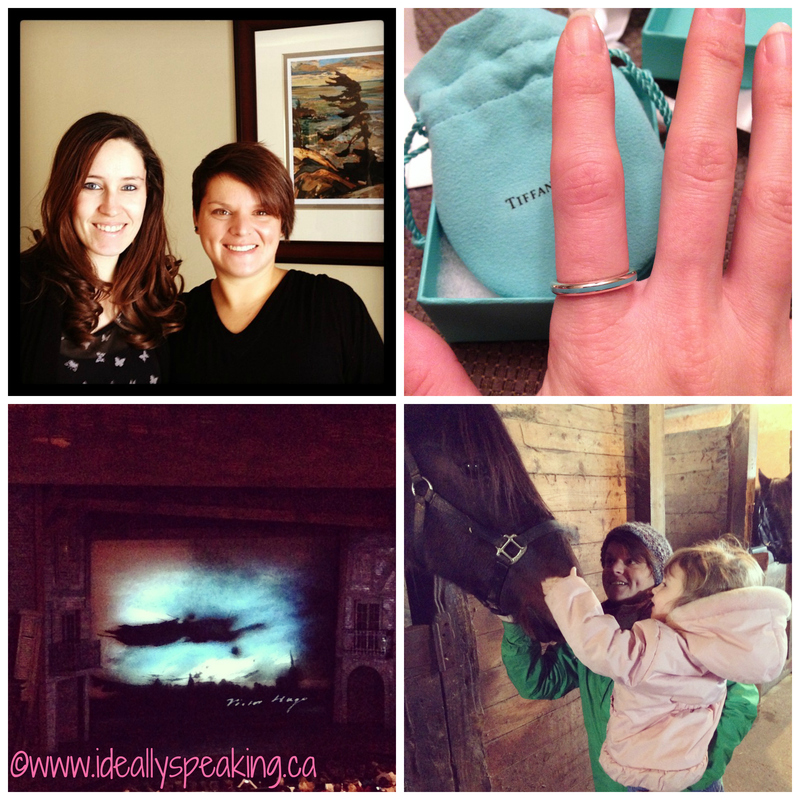 #WordlessWednesday with linky: First Time at the Movies! #WordlessWednesday with linky: SuperBaby! #WordlessWednesday with linky: Rustic farm nursery progress. #WordlessWednesday: Christmas Craft Wrap-Up! 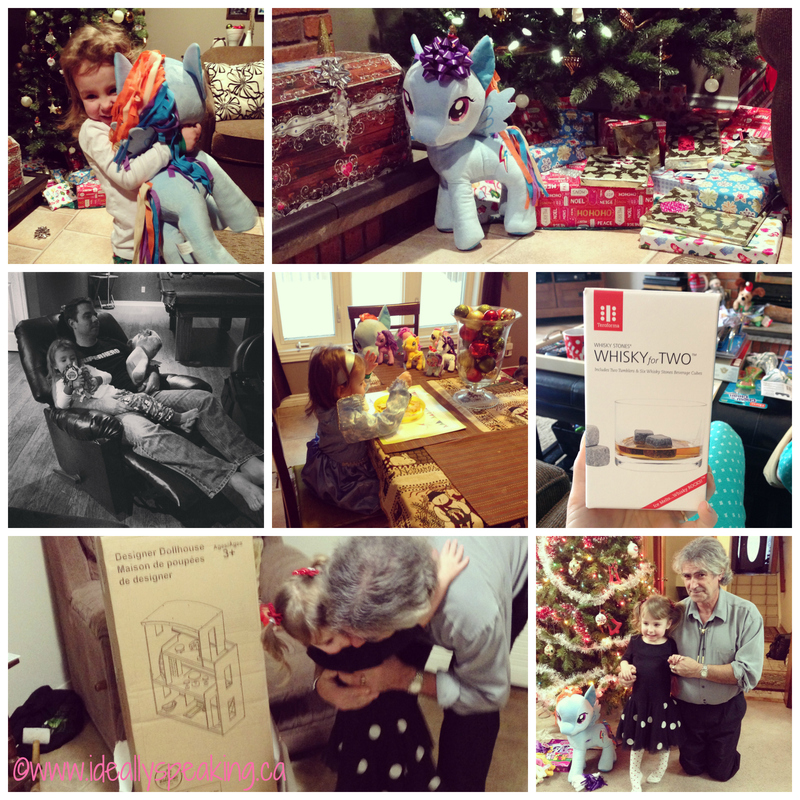 « #WordlessWednesday with linky: Merry Christmas! It’s 2014!!! Please stop by BeBetsy and check out our new setup, we think you will enjoy it! Looks like a wonderful Christmas. I love that huge Rainbow Dash (and so would my littlest!). Thanks for sharing at Tales of a Pee Dee Mama.